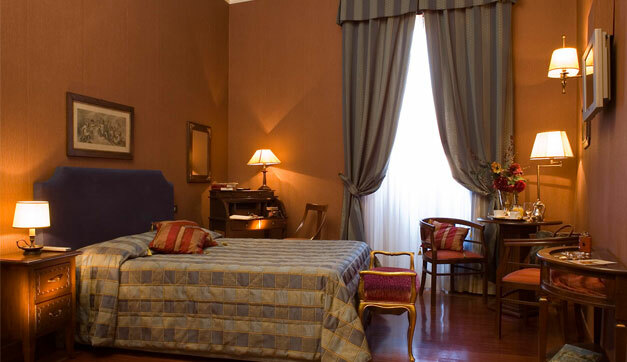 Our elegant facility, in a prestigious palazzo located in Rome’s historic center, guarantees all modern comforts. 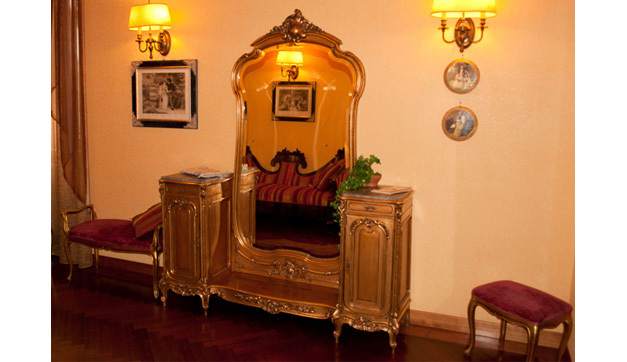 Its strength lies in our elegant reception. 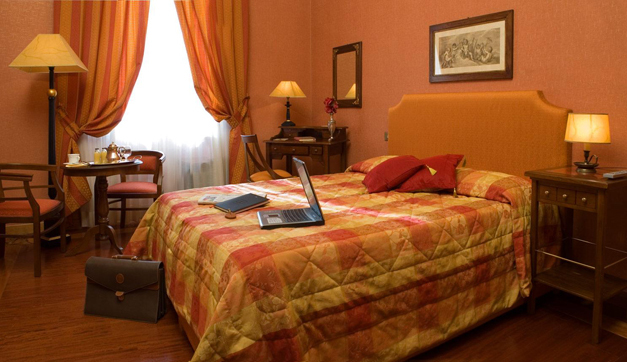 Our entire facility offers free wi-fi internet access. During your stay, our reception staff (from 8 AM to 8 PM) will take care of your every need with professionalism and friendliness. Our staff is available to book taxis, tours, museum visits, shows, restaurants, etc. 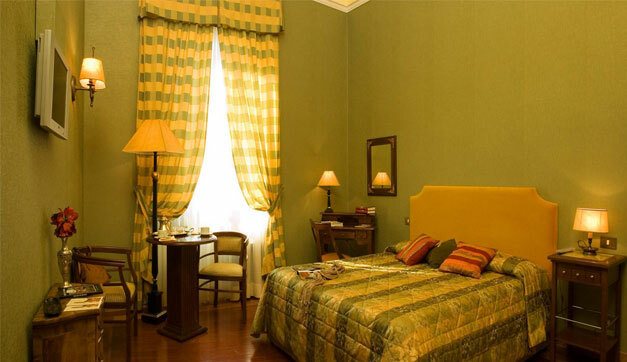 We have selected a number of competitively-priced tours both in the city and elsewhere (Pompeii, Florence, etc.). Our staff speaks English, Spanish, Russian and French. The taxi service can be booked to and from the airport at fixed prices (from € 45) and to visit the city. 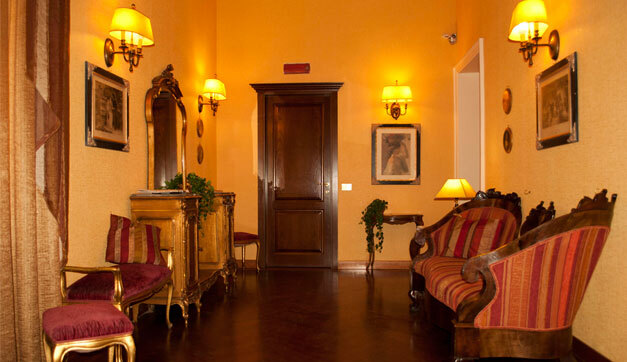 Before your stay, we wish to inform you of a paying garage we have an agreement with (€ 30/ 35, depending on your car’s engine power), located in Via Modena n. 10, just 50/100 meters from the facility. Please note that the garage is located outside of the historic center, which is characterized by limited access hours. Automobile transit is allowed from Monday to Friday from 6 PM to the following morning at 6:30 AM (except for Fridays between 11 PM and 3 AM), on Saturday (except for hours between 2 PM and 6 PM and 11 PM and 3 AM) and on Sunday. B) Cable internet access, if needed.